Nintendo Switch, a portable video game console from Nintendo, might soon come with YouTube App. Well, Nintendo hasn’t made any official announcement yet. But, according to reports from ResetEra forum, Nintendo is working on getting YouTube app to its handheld gaming console. This step by Switch is a revert to many of the feedbacks by its users demanding the app for console. Also, many users on Nintendo’s website have received a ransom suggestion for YouTube app, making it more obvious for its users. 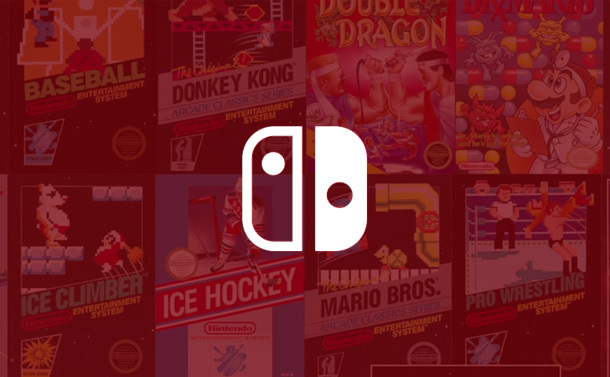 It seems like Nintendo doesn’t want to disappoint its users anymore and is continuously working hard to give its users a better experience always. IS NINTENDO SWITCH GOING TO BE NEXT MEDIA PLAYER? There are not much options on Nintendo Switch for streaming. They first embedded Niconico in Japan and later Hulu was also adopted by Switch. On the other hand, Google is also continuously working on making YouTube compatible with every platform possible and so is Nintendo now. YouTube App is already known to many gaming consoles like 3DS, Wii U and many more. But, the practical use of it will be on a touchscreen gaming console. Looks like Switch is going to be the next multi-purpose device, where kids can watch and play at the same time. According to reports, YouTube App on Nintendo Switch will be available from November 8th. Apple Maps in its latest update has brought in some new changes and details, like Indoor Maps and Flyover, making the app similar to Google Maps. Now, Apple Maps will be available with Indoor Maps and Flyover options, which helps in navigation and getting detailed directions. Indoor Maps allows you to get thorough and complete directions inside major airports and shopping centers around the world. With it, you can sort which restaurants or stores are located past the security check-in at the airport or where is the nearest restroom and on what floor it is. Whereas, with Flyover, you can take an aerial view of major metro areas with photo-realistic and interactive 3D views. You just have to move the device in space to get an aerial view of the city. You can also zoom, pan, tilt, and rotate the device to explore the city and its landmarks. Well, Apple Maps is rebuilt to make the experience much better for users. As it uses many enhanced geographic features to navigate on paths like pedestrian paths and parks, more detailed building outlines and parking lots, better road network coverage, and more. With this, you can be able to navigate through the difficult routes of world. However, for now, the new Maps is only available in Northern California and will be available soon for rest of the Apple users in United States. How To Operate Apple Books On iOS Devices?